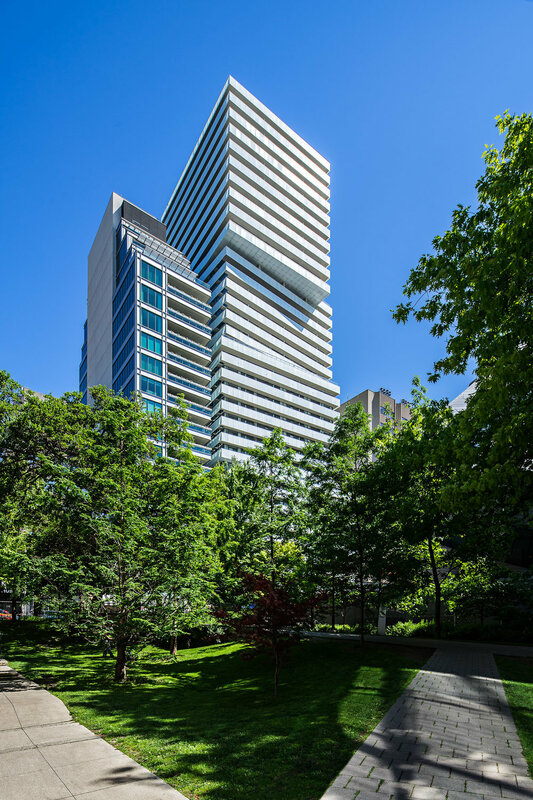 One of my favorite Toronto condominium developments in recent years is the Exhibit Residences. Facing the Royal Ontario Museum, the building is designed by Rosario Varacalli. I also captured it from the other side, in the Yorkville neighborhood, to give it more context. 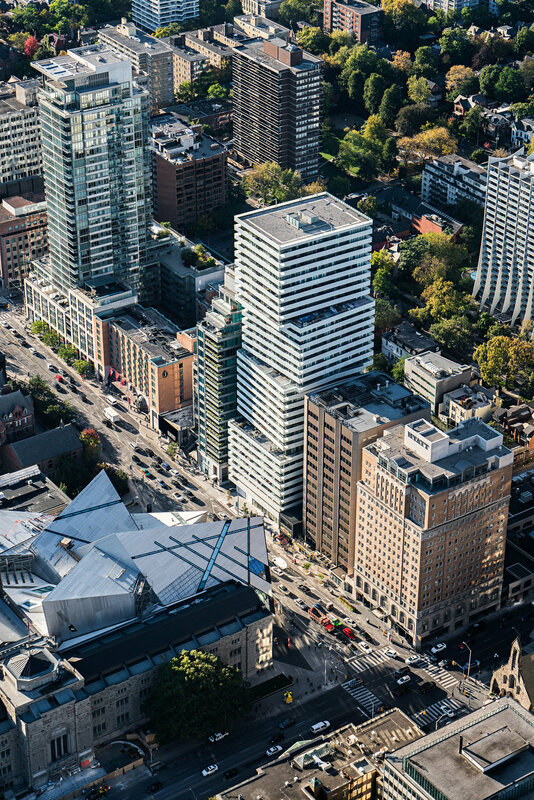 A few aerials images give a sense of scale to the building and its design, exploring its relationship with the ROM. 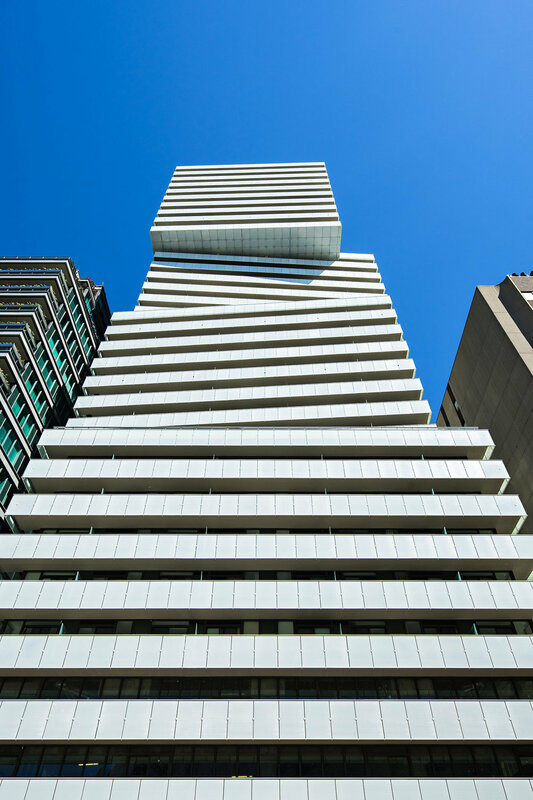 Finally, a close-up shot of the building's facade.